Saturday, April 28th, 2012 - Categories: Competitions, Events. 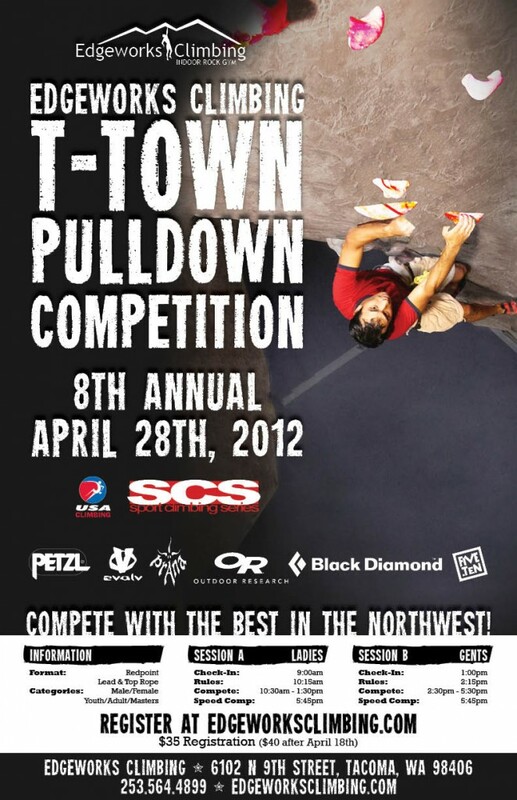 Get ready for the 8th Annual T-Town Pulldown! This USAC sanctioned competition happens once a year; 100’s of climbers from around the region flock to compete. Some of the best routes of the year are put up for this competition, the energy is phenomenal and the raffles prizes from climbing brands like Black Diamond, Petzl, and Evolv are awesome!